Today, many successful innovators work in large corporations that back huge research and development investments. Tomorrow, innovators will increasingly work in small entities with little capital. Strategic use of patents will reduce innovators' dependence. Today, patents, trademarks and other intellectual property rights are assets notoriously difficult to trade. Tomorrow, a global market place, transparency and low transaction costs will bring many more participants to the market and substantially increase liquidity of these assets. Directing innovators' efforts to success, ideally, needing no more than a desktop while leaving big investment to legacy "dinosaur companies" that seem anyhow doomed. 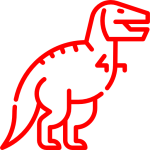 Clever patent portfolio management: Dinosaur companies invest heavily in finding out about the value of their patents - and typically get it all wrong! We assist in finding the true value of your patent in the market. First, we listen to you. Then, we solve your problem. Full-scale service: We co-ordinate your IP processes. Inventions, patents, trademarks and designs: We find you the right patent attorney. From invention generation to patent value extraction: We work with your patent attorney. Use our industry experience to save costs and maximize the value of your intellectual property. Administrative services related to intellectual property rights in Germany. Contact us for details. Intellectual property valuation service. This service is presently only offered in Germany. Please contact us for details. PATANSWER was founded in 2012 with a single disruptive service product. The company had a hard time. Learning continues. Based on our experience as much as on working with numerous startup companies, if you are a founder or inventor in a startup, we have probably seen many of your problems before. In particular, we understand that your road to success is a tightrope. We offer service solutions taking account of a typical startup's financial situation. Germany's prosperty is based on a large number of global champions hidden from the stock market. Technological leadership requires strategic use of protective instruments: secret know-how as much as patented inventions. If you run an SME, not only do we understand frustration with bureaucracy that stifles growth. We use our industry experience to reduce the costs of your patents and trademarks. You'll soon see benefits on your balance sheet. We assist with portfolio management, patent and trademark valuation and with implementing your employee invention administration. Look, you were doomed for extinction. Not sure, if there is anything that we can do for you. Please feel free to contact us though! Platform for offering intellectual property rights for sale or licensing. Information and assistance on anything related to patents - 100 % for startups.